Bob Spear, cofounder of Huntington's Birds of Vermont Museum, always considered his remarkably lifelike wooden bird sculptures to be purpose-built. A lifelong conservationist and educator, Spear maintained that his 500-plus sculptures were designed to inform museum visitors — especially young ones — about the natural world, and to instill in them an appreciation for it. Yet, as Seven Days wrote on February 12, Spear's work might justifiably be considered trompe l'oeil art, as well: His wooden birds look more realistic than many works of taxidermy. Spear never viewed himself an artist, but that's no reason not to view his carvings as artworks. Spear died in October at age 94. Though he'd stepped back from museum administration — and from carving — in recent years, he remained a member of the museum's board until just before his death. And he could often be found by the museum's large ground-floor window engaged in his favorite activity: bird-watching. Erin Talmage, executive director of the BOVM, says that, for museum staff and supporters, Spear's passing was more of an emotional issue than an administrative one. "Everybody's very sad, and it feels like the end of an era," says Talmage, who knew Spear for 20 years. "But the museum itself was prepared for [his death]. I miss him a lot, but, to be honest, watching him decline was, for me, harder than his actual death." When Spear cofounded BOVM in 1987, he laid out its educational and conservationist mission, which continues to guide the nonprofit museum. "Bob had written out his vision a few years ago," Talmage says, "and was pretty specific about what he was hoping for." That vision includes keeping the museum a small-scale enterprise, hosting programs and exhibits that emphasize the craft of woodcarving, and maintaining the trails that meander over 40 of the museum's 100 acres. Still, some changes are in the works, says Talmage. The museum staff plans to solicit the works of other woodcarvers, and hopes to enter into a partnership with the nonprofit organization New England Woodcarvers. And a plan is afoot to construct a bird blind in Spear's honor near a pond on museum grounds, pending board approval. Talmage notes that, in the two months since Spear died, she's often been asked if the museum will endure. Indeed it will, she says, in large part owing to Spear's own efforts. "Bob and the board set up [the museum] 27 years ago so that it would last longer than everyone involved," she says, "and they did a great job with that." Spear, for instance, formally donated all his carvings to the museum, a legally independent entity, to forestall quibbles over ownership. Studies have found that regular interaction with the natural world is beneficial to human health, Talmage points out. 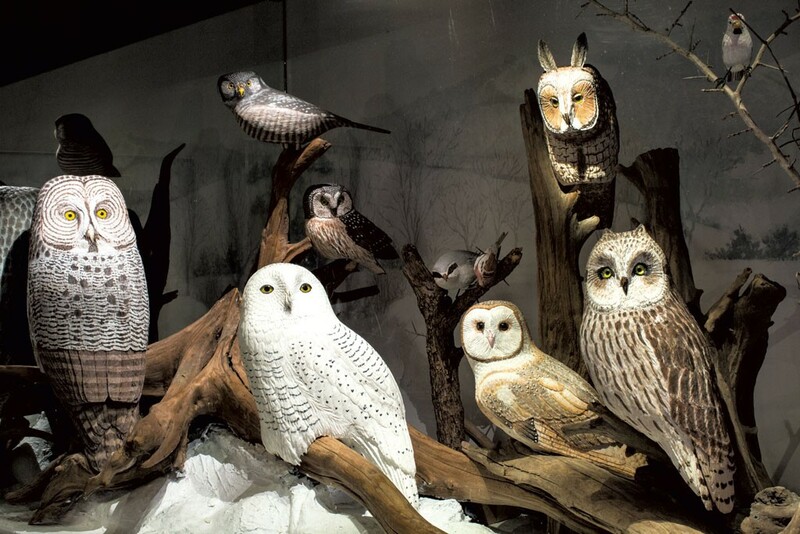 In that regard, she says, the Birds of Vermont Museum is as relevant as ever. The original print version of this article was headlined "Feathered Friends Forever: A Founder's Legacy Lives on at the Birds of Vermont Museum"